We often think of unmanned aerial vehicles (sometimes called UAVs, or more frequently "drones") as a relatively new innovation. But from the radioplanes of World War II to the submarine-launched drones of the 1990s, visions of militarized robots have been with us for over a century now. 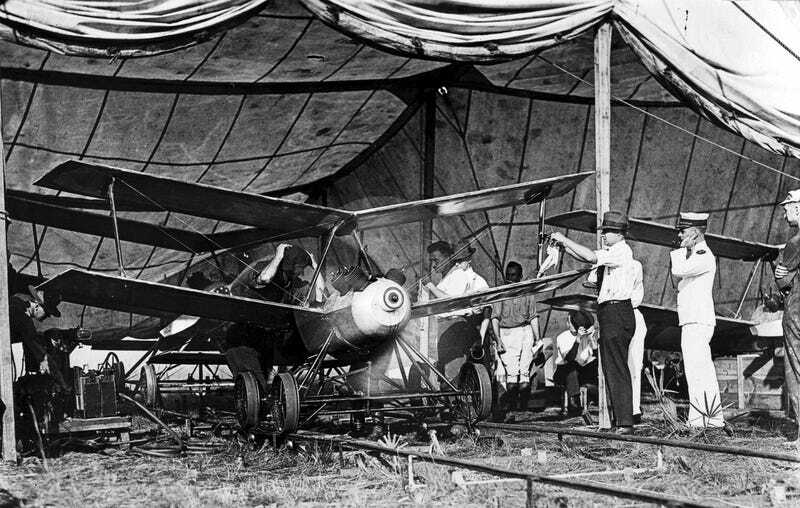 Ron Miller over at io9 has the story of the Kettering Bug, a drone first developed for use in World War I.